What influences your customers’ buying decisions the most? Is it low price? Is it your brand? Is it high quality? Is it customer service? Do your customers even know why they buy what they buy? In 1999, two university researchers conducted a study at a wine store to see if in-store music could change shoppers’ wine selections. What these two researchers found surprised everyone. On the days when French music was played, French wine outsold German wine by 3 times. On the days when German music was played, German wine outsold French wine by 3 times. Over 90% of the shoppers surveyed after purchase said that they were unaware of the music played. This study illustrates how important the unconscious mind is in shoppers’ decision-making. Contrary to our long-held belief that consumers rely on reason and logic for their buying decisions, we now know that intuition and emotion play a much more important role than previously thought. Neuromarketing lets you tap into the power of the unconscious mind to better persuade your customers. All marketing strategies are designed to get consumers to make decisions. Understanding that decision-making process has always been a hit-or-miss proposition. During the past 20 years, neuroscience research has yielded surprising insights on how consumers respond to advertising. Now, we no longer have to guess why consumers prefer certain products or services, while ignoring others. Neuromarketing is turning the world of advertising and marketing upside down. Understanding of consumer behavior based on neuroscience studies is referred to as neuromarketing. Since its introduction, neuromarketing has helped businesses of all sizes sell their products and services with maximum effectiveness. Neuroscience investigates how the brain works. When applied to marketing research, it tries to find out how the brain makes buying decisions. How does a product affect emotion? Are consumers aware of how they choose products or services? What marketing message catches their attention the most? How does price affect their choices? Today, technology like Functional Magnetic Resonance Imaging (fMRI) lets researchers look at brain activity in real time. Now, what parts of the brain are activated by a wide range of stimuli can be viewed and analyzed. Neuroscientists can even watch brain activity as individuals actively make decisions. What is being learned has surprised almost everyone. How Do Your Customers Make Decisions? – The decision-making functions of the brain are complex. Even seemingly simple decisions involve activity in multiple areas of the brain. Neuroscientists have conducted research into brain function, especially where it involves making decisions. What they have learned can be understood by anyone involved in marketing. Some decisions are made quickly and unconsciously. Others require active, slower thinking and reasoning. Those findings form the foundation of neuromarketing. Neuroscience is the new driving force in online marketing. How Does Neuromarketing Drive up Your Profits? – What secrets do Amazon and Google know about internet marketing? Clearly, they understand how to get internet users to act. A big part of their overwhelming performance is science-based. They have hired some of the top neuroscientists in the world to help them formulate strategies. Why? 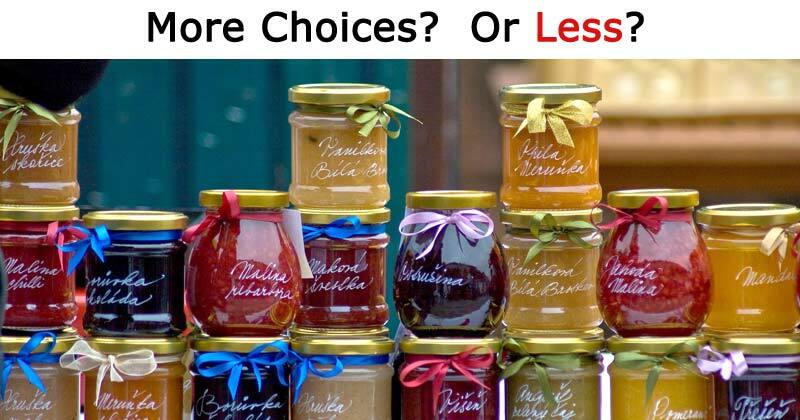 Because selling is all about how consumers making decisions. Decision-making has been investigated by consumer neuroscience. If you can motivate your potential customers to buy, you can double or triple your sales and revenues. How to Turn Your Website into Your Best Sales Team with Neuro Web Design – Internet marketing has expanded exponentially in the past two decades. Today, a comprehensive marketing plan includes SEO, social media, email blasts, and search engine pay-per-click advertising. However, at its core is the website that serves as the destination for all efforts. How your website performs determines your ultimate success or failure. In reality, too many companies spend a lot of money to bring potential customers to their websites, but fail to convert them into leads and sales. Effective use of neuro web design techniques can turn web traffic into sales. Maximizing visitor retention and conversion is the goal. How to Make the Most out of Internet Neuromarketing? – Recently, neuromarketing has become a buzzword. There are some blogs offering tips, techniques, and advice. Just trying a few simple tricks won’t get the job done, though. A successful neuroscience marketing campaign is complex and must be integrated into every aspect of your internet marketing. Fortunately, a very few neuromarketing firms specializing in neuro web design, SEO and pay-per-click advertising stand ready to help. With this new and science-based approach, you gain a strong competitive edge. We are a premier neuromarketing service company in the U.S., led by Dr. Terry Wu. Dr. Wu studied neuroscience at Duke University and Vanderbilt University. He earned his Ph.D. in neuroscience at Vanderbilt University in 1998. He leads a group of web designers, SEO experts and content creators to apply neuromarketing techniques in helping clients achieve maximum results. We want to help you understand what neuromarketing is. We’ll show you what has been discovered. On the pages of this website, you’ll learn why some internet marketing efforts succeed while others fail. We’ll break down many common misconceptions about online marketing and show you how to create the most successful strategies. We’ll help you take advantage of the latest research insights to convince your potential customers to make favorable decisions. Our goal is to help you boost conversion, increase leads, and improve sales. We hope you’ll explore the links and articles here and become better informed. We’ll also be happy to discuss this new scientific approach with you and show you how we can help your business grow.